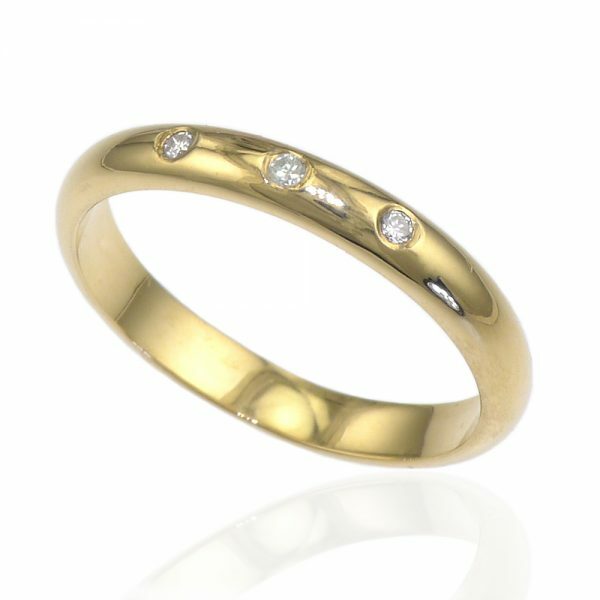 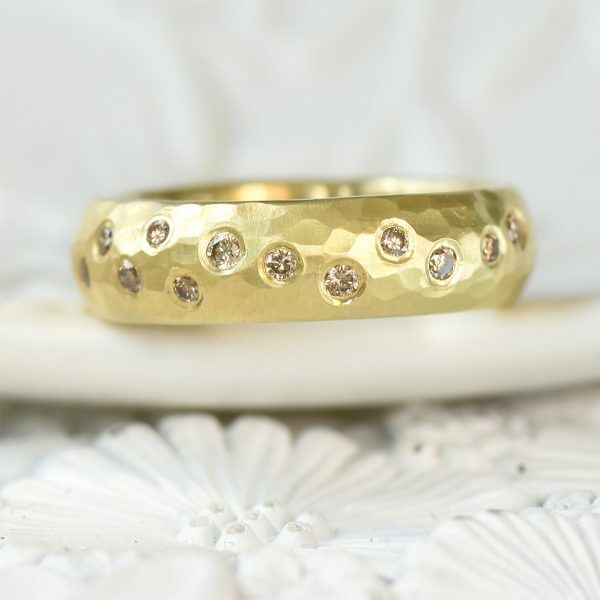 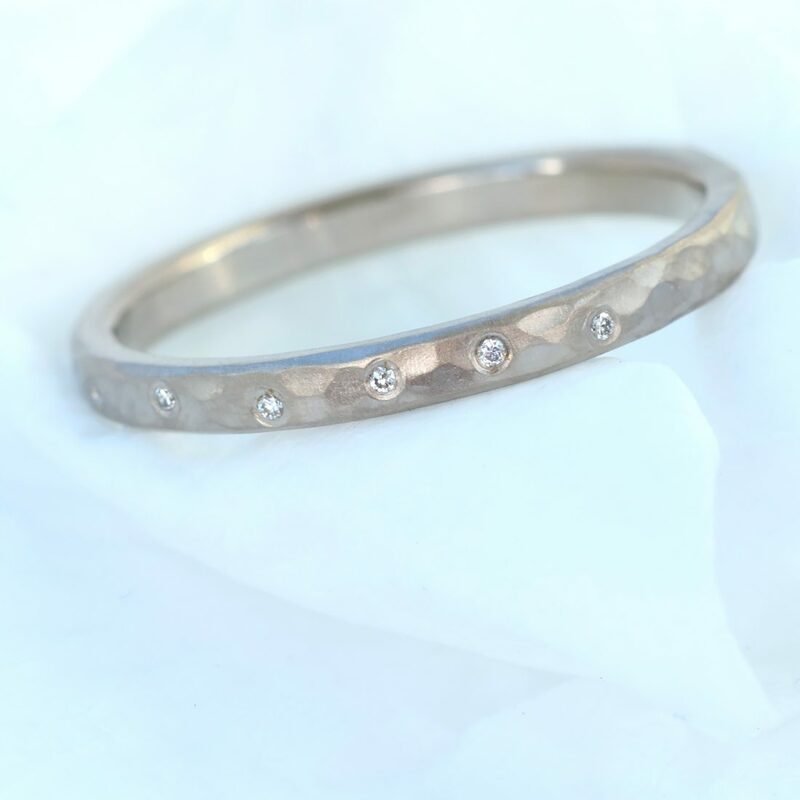 This rustic wedding or eternity ring is set with a scattering of tiny 0.8mm Canadian fairtrade diamonds at the front of the band. 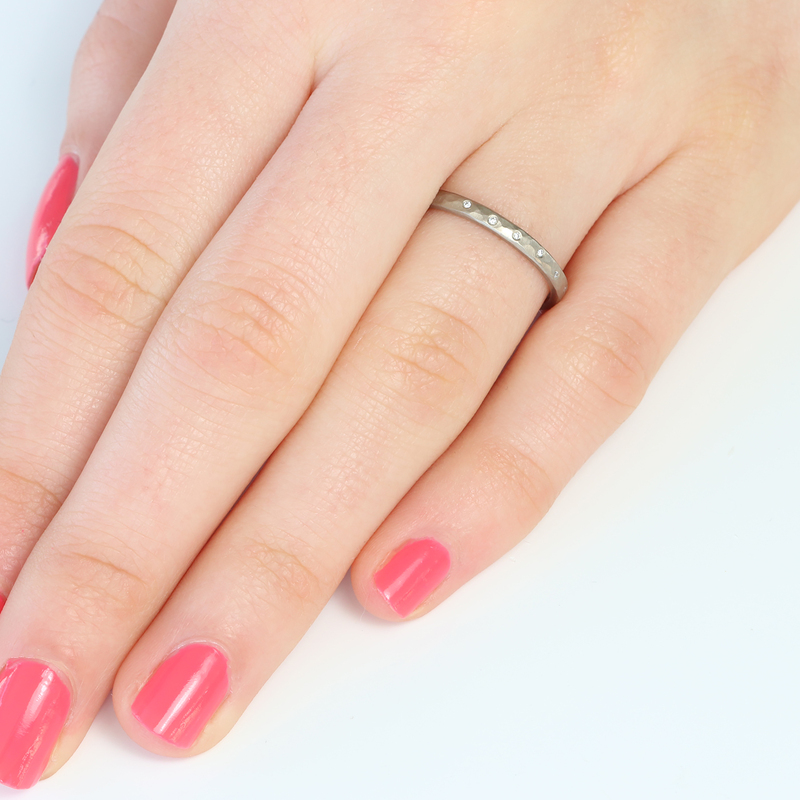 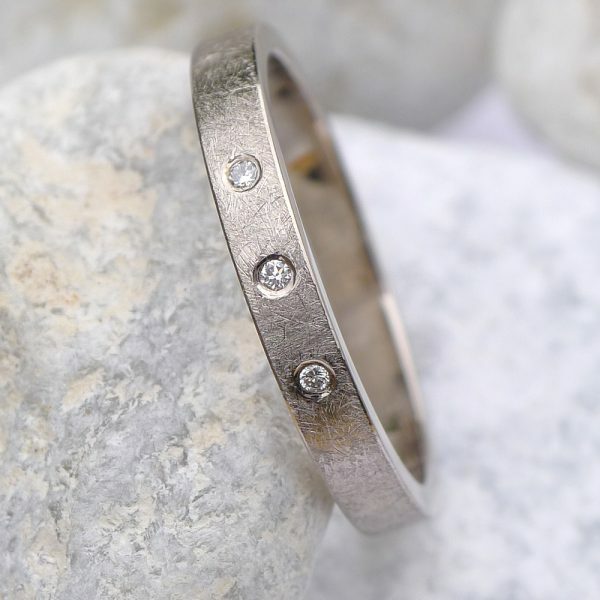 The slim 2mm wide band has an unusual hammered texture and matte finish. 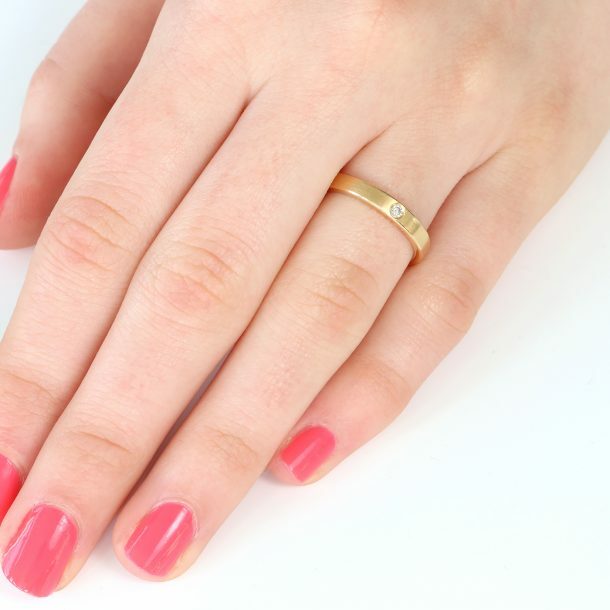 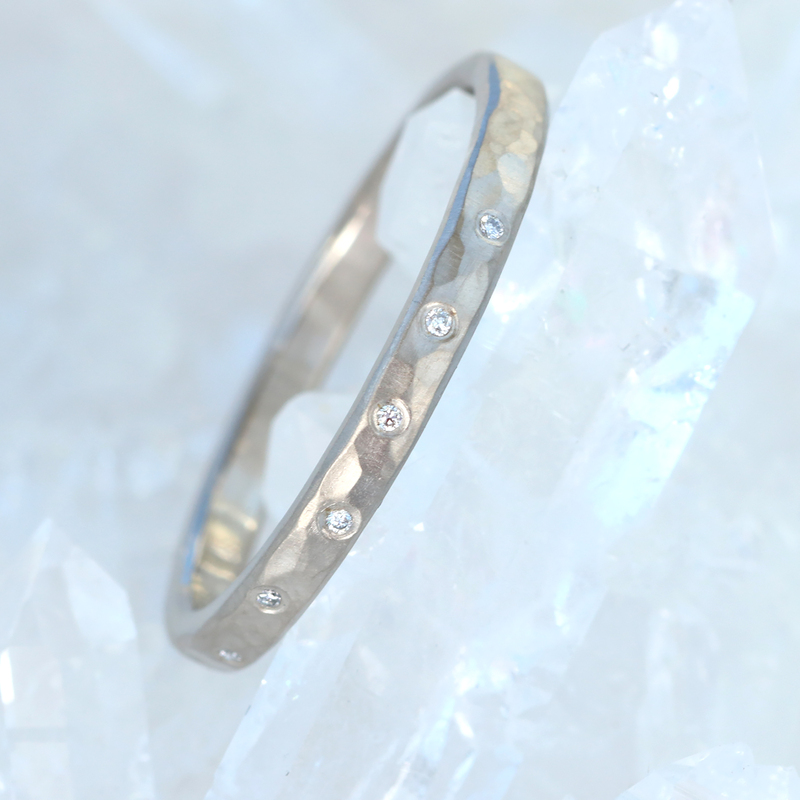 The featured ring is made from ethically sourced solid 18ct white gold, but it can also be made from 18ct rose gold, yellow gold or 950 platinum. 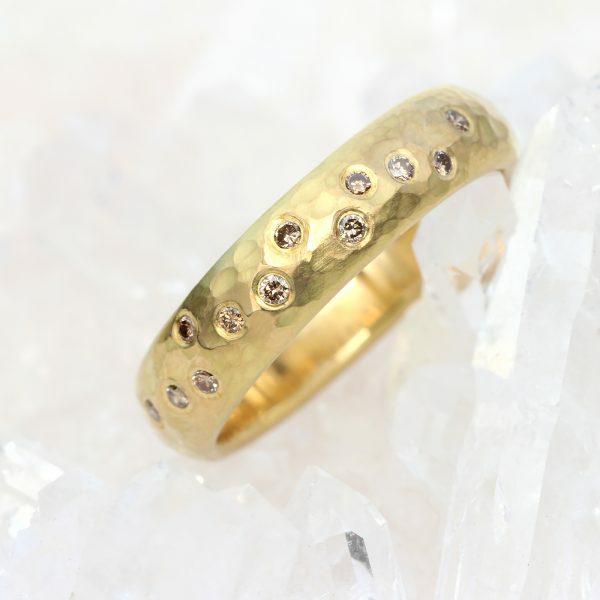 Handmade to size in Lilia’s studio in the Cotswolds and delivered within 6-8 weeks. 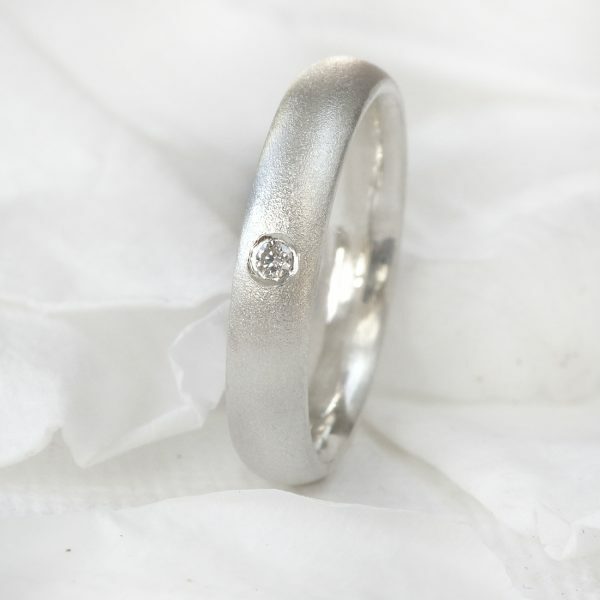 The ring will be hallmarked by the Birmingham Assay Office and presented in a Lilia Nash jewellery box. 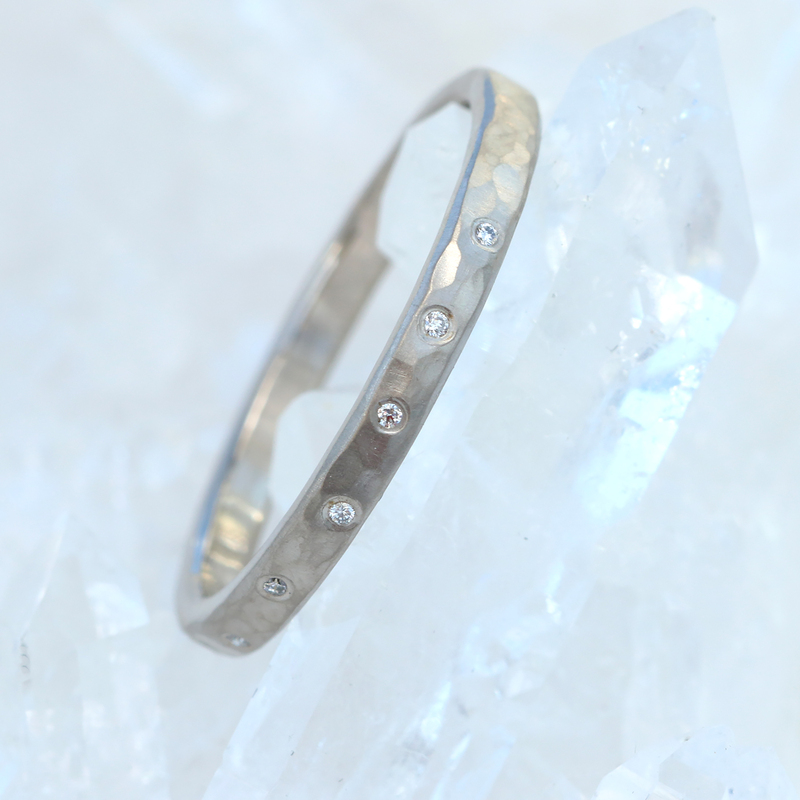 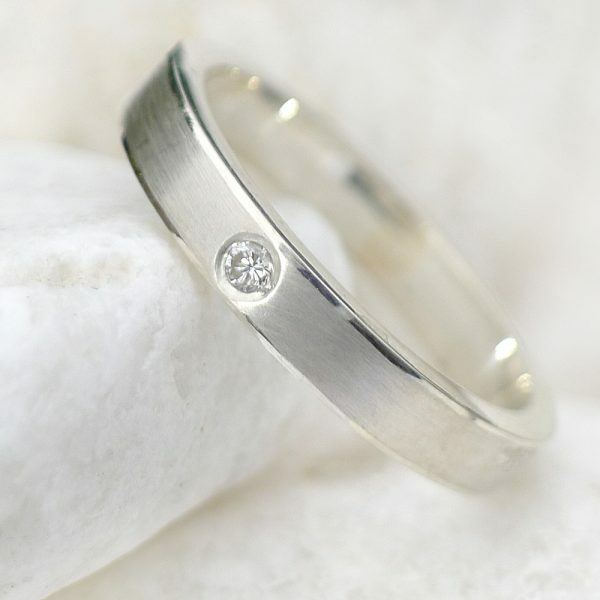 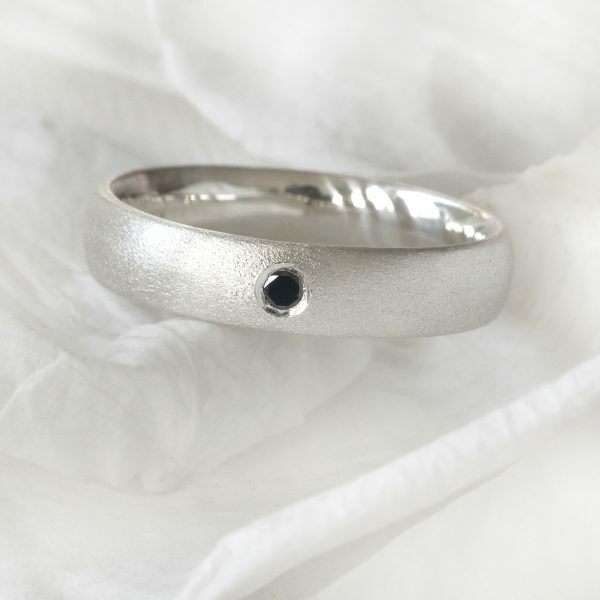 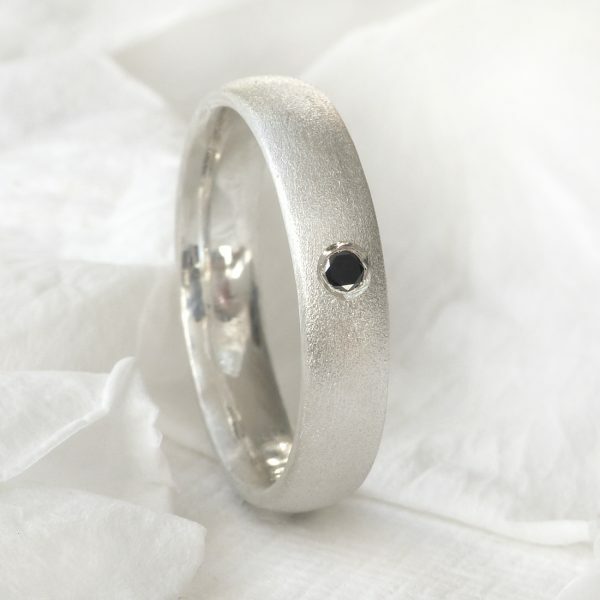 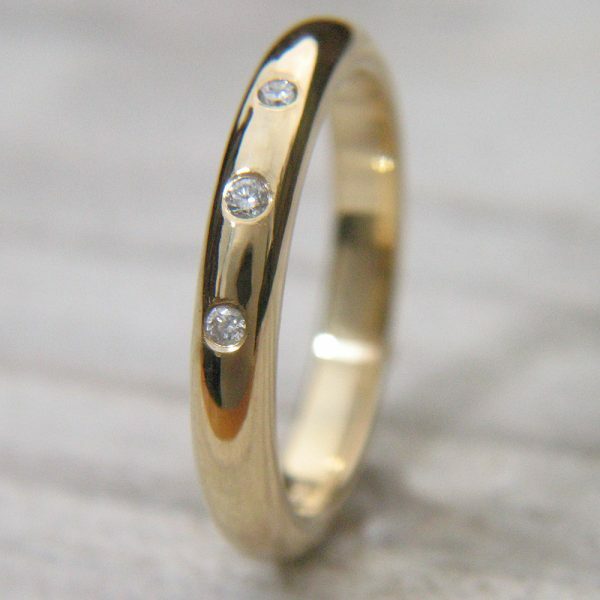 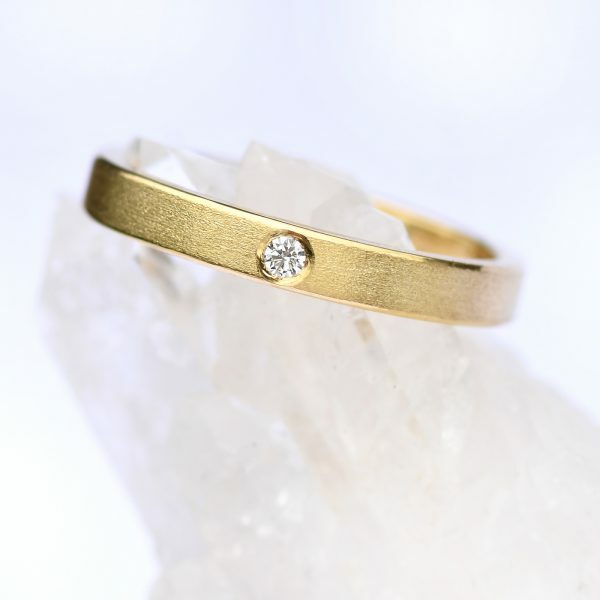 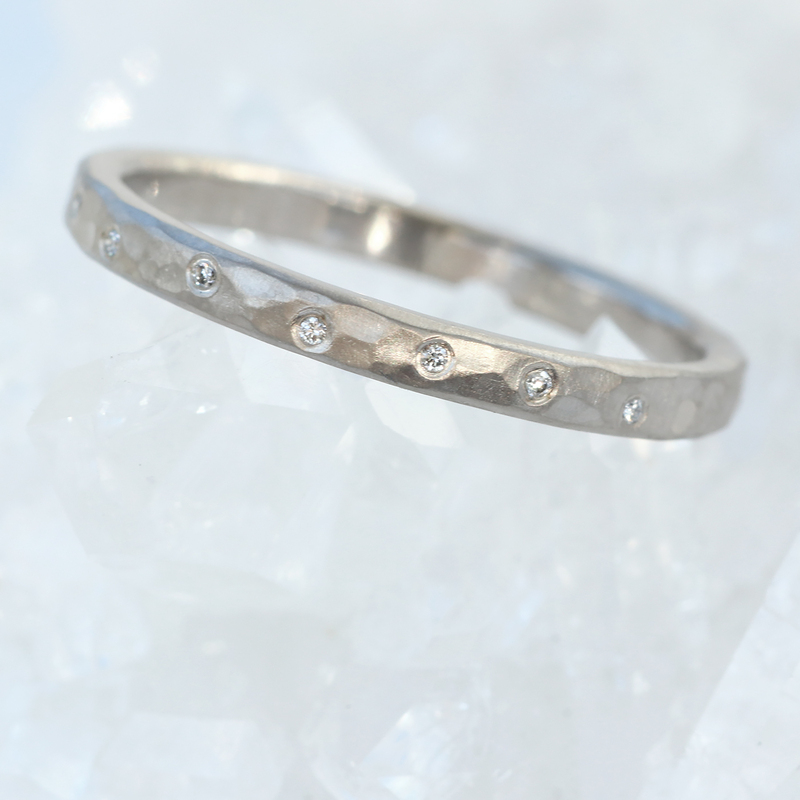 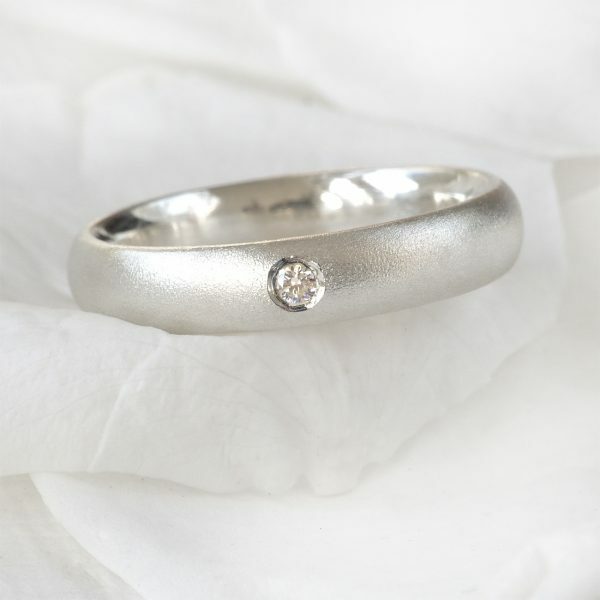 A slim profile scattered diamond eternity ring or wedding ring, with a hammered texture and matte finish.